Yes, Far Cry Primal is yet another Ubisoft game, but it’s powered by a different engine than The Division—the latest version of the long-running and well-respected Dunia engine. We test the game with the free 4K HD Texture Pack installed. 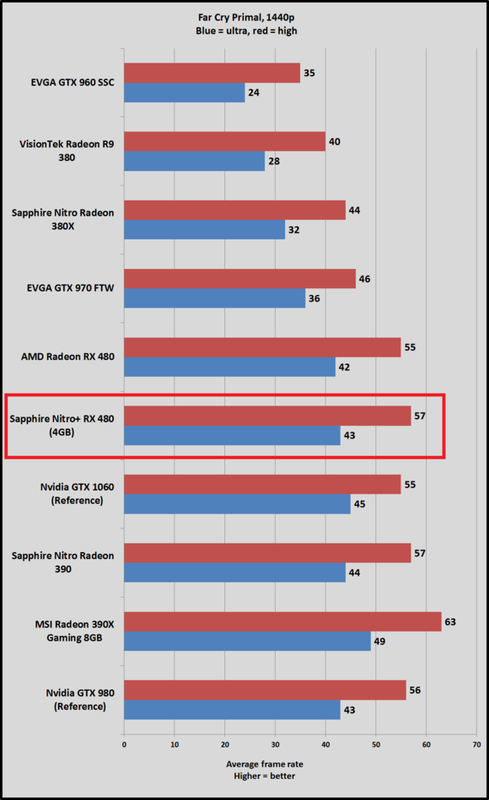 Up until this point we’ve compared the Nitro+ RX 480 against the reference editions of the next-gen GPUs, and the narrative remains the same: The Nitro+ RX 480 is a little bit better than the reference RX 480 in Far Cry Primal, and closes the gap with Nvidia’s GTX 1060. 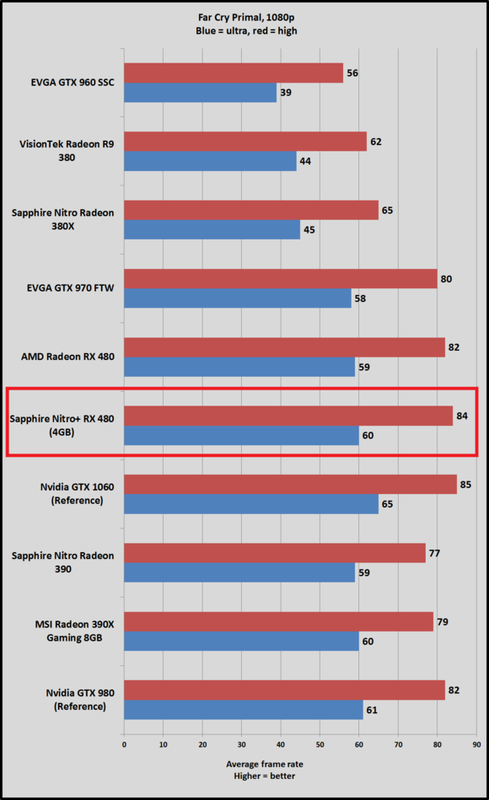 It seems like a good time to point how just how much more performance this new generation offers compared to the $200 last-gen cards. The difference is night and day. 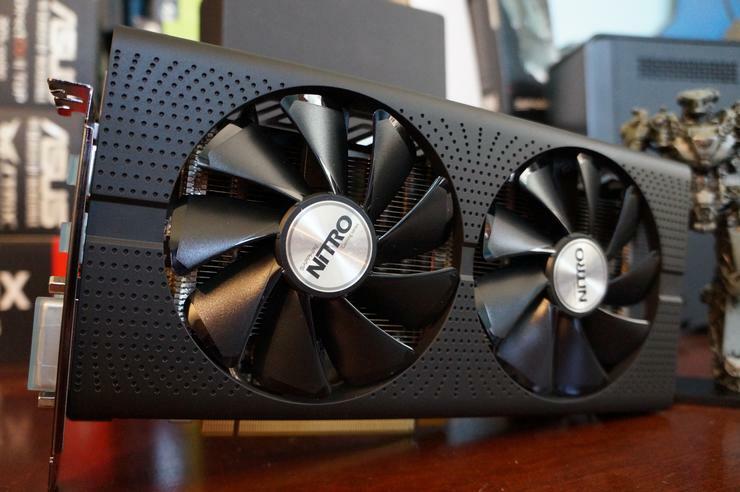 You’ve never been able to play the most demanding new games at 1440p resolution on a $200 graphics card—until now.